Need career coaching? We're happy to talk with you about how we can help. Most often, we customize career coaching so that you get exactly what you need focused on where you'd like to invest your time and money. 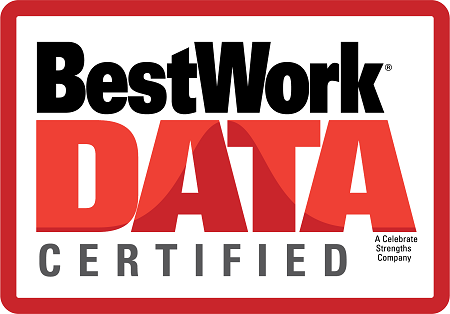 We usually begin with BestWork DATA, an online survey or assessment that helps you see your strengths, as well as areas of development. In can also help you see that certain career paths will bring you greater happiness and more likely success than other paths. 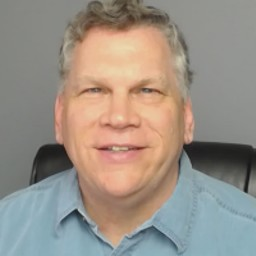 To learn more about Career Coaching, feel free to set up a time to talk with Chuck Hall by using this link: https://calendly.com/chuckhall/30min -- or if you prefer, email Chuck, chuck@chuckemail.com . Need someone to help you practice for an interview? We can get on the phone and go through a mock interview for about 45 minutes. After we finish, I'll give you feedback to help you be more prepared for your interview. Need to prepare for your interview so you have more confidence and are ready to shine? Start by taking our 25-minute BestWork Data Assessment so you can have concrete documentation of your strengths going into your interview. This can help build your confidence. We'll review your strengths and help you understand how you can position yourself. We'll go over our interview messaging template to help your prepare for the key points you want to share in your interview. When you are ready, we'll conduct a mock interview and provide feedback. You can then incorporate the feedback into your interview messaging before we hold a second mock interview session. Looking to make a change in your career, plan out your career strategy for the next 5-10 years, or get back into the workplace after an absence? Our Career Coaching Service begins with a session to assess the current state of your career. You'll then complete our 25-minute BestWork Data Assessment. After you complete the assessment, we will hold a career roadmap session to pull together your career game plan. We'll follow that up by working on your messaging template, reviewing your resume and Linkedin profile, and getting down to specific job search tactics. We'll also hold mock interview practice sessions with feedback to help you develop greater skills and confidence in the interview process. This is our most comprehensive career coaching service. I'm a coach and consultant with more than 30 years of management and leadership experience with top firms such as Prudential, General Electric and Nationwide Financial. I believe that everyone, can improve their results by developing more effective and efficient practices. Working most often behind the scenes as a confidential advisor and coach, I help people improve their careers by making the right moves. I follow a disciplined analytic process, and blend in creativity, experience and intuition to help you accomplish your goals. I started my career in ministry and social work before moving into the business world where I worked for large companies and a national trade association, before launching my independent career in 2007. I have a master’s degree in Organizational Dynamics from the University of Pennsylvania. I'm a member of the Atlanta Chapter of the Association for Talent Development, and the Technology Association of Georgia. I live in Conyers, GA, with my wife, Amy, teenage son and two dogs. My wife and I have successfully launched our two daughters from the nest. I enjoy nature, reading, craft ales and quiet time sitting on the deck contemplating the wonders of life. If you're not sure what service you need at this time, please feel free to schedule a free call with me. I look forward to talking with you!